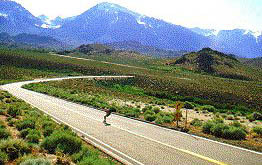 A lone rider on hwy 168, eastbound into Bishop CA. Twenty two miles & 5000ft back to town; if run all the way from the top! There's quite a few similar drops around the Eastern slopes of the Sierras. Tioga Pass, hwy 120 for instance. 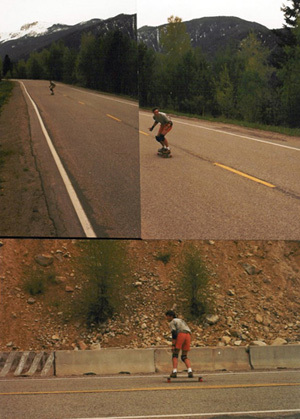 Plenty to carve or bomb and probably a great deal less traffic than you're accustomed to. 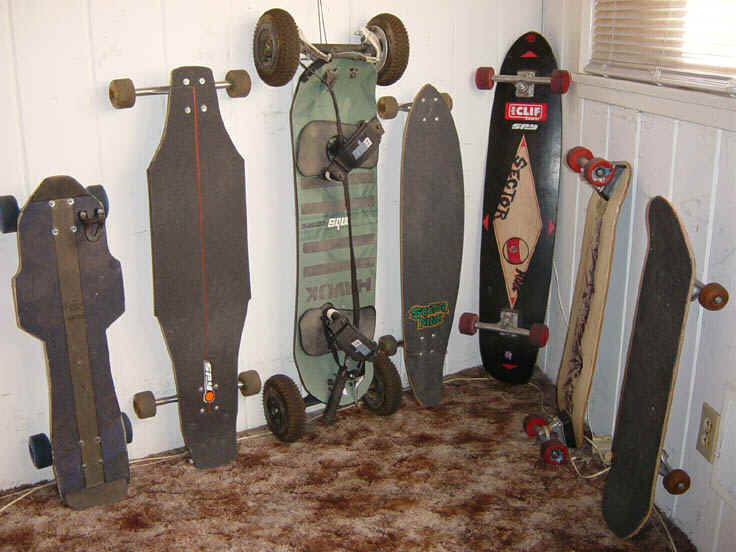 Google's search results for "longboards"